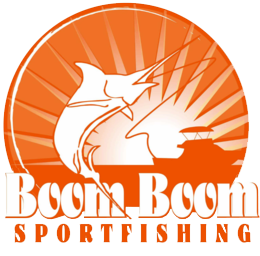 HOW DO I BOOK A CHARTER WITH BOOM BOOM FISHING? Click to book your charter online! am i supposed to book MY CHARTER IN ADVANCE? Charter’s advance booking is not compulsory , but we highly recommend to book your charter as far in advance as possible to ensure the availability of boat. what is the policy in case of cancellation of charter? 20% penalty is charged for the cancellation made four days before your charter. 50% charged for less than four days notice while full cost is charged for less than 24 hours notice. am i compensated in case of bad weather? Weather is always unpredictable so we suggest you to come prepared. In case of cancellation of your charter due to bad weather we try to reschedule it as soon as possible. If rescheduling is not feasible for you then we charge no fee. what is the maximum size of group accommodated? All charters have a 6 passenger maximum limit. We are U.S. Coast Guard Licensed and Regulated for 6 passengers, no exceptions. Do you guys have license and proper training? We are U.S. Coast Guard Licensed and Regulated. Our captain and crew are all trained in first aid, fire, hygiene and boat safety. At WHAT TIME DOES MY CHARTER START? We have different timings depending on the package, but the earliest we start is at 6am. what does my charter includes? Do you allow alcoholic drinks? Yes, alcoholic drinks are allowed however for your own safety, glass containers are not allowed. Metal or plastic container are only allowed. We expect you to drink responsibly. is it possible to get my fish cooked after my charter? Yes and we recommend it to you for complete experience. You can also take your freshly caught and cleaned catch to some restaurants where you can get it cooked. can i take my catch to my home? Yes, you can take your catch to your home. However you will have to keep it cold while traveling. is it possible to have my catch mounted? Yes, it is possible to do so and our crew can guide you regarding some good and reputed companies. WHAT IS THE CUSTOMARY TIP OR GRATUITY? Throughout the Fishing World it is customary to Applaud your Captain & Crews efforts with a Tip. In Hawaii 20% is the standard rate.